Now, more than ever, society needs a good, hard look at what it means to be a man. For years and decades, absentee fathers have created generations of males who turn to less-reputable sources for their male role models. When I won this book as a Goodreads Giveaway, I was hopeful that it could be a resource I could recommend to “boys” who need to grow up into “men,” regardless of their age. 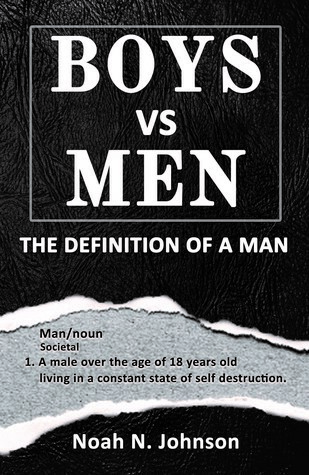 Unfortunately, while this book addresses some of the fundamental issues of manhood, it doesn’t go nearly deep enough to hit the problems endemic with full-grown boys who should act like men. In defense of the author, this seems to be his first book, made evident by the very casual style of writing and a lack of understanding when it comes to interior formatting (all the pages were center-aligned, instead of justify-, or even right-, aligned). While the reader cannot doubt the author’s personal experiences, neither do they drive home a researched or scientific approach of behaviors and the conditions/thinking that causes males to act like boys instead of men. Consequently, the author admits this book should be a “launching pad” to start a conversation, which is precisely what this workbook-style book can do, even if it never touches on more serious subjects like violence and abuse (as seen in today’s headlines). When it comes right down to it, Boys vs. Men is a good start to help shape future generations, but it almost feels like “too little, too late.” Many of the anecdotes and “lessons” provided in the book seem geared toward males who are old enough to be acting like men, instead of using it as a guide for young boys on the cusp of adulthood. With a little more research and external sources, this book could start to address the problem at hand, but right now it’s just a veneer on a huge societal problem. An anecdotal workbook that skims the surface of a problem, I give Boys vs. Men 2.0 stars out of 5.